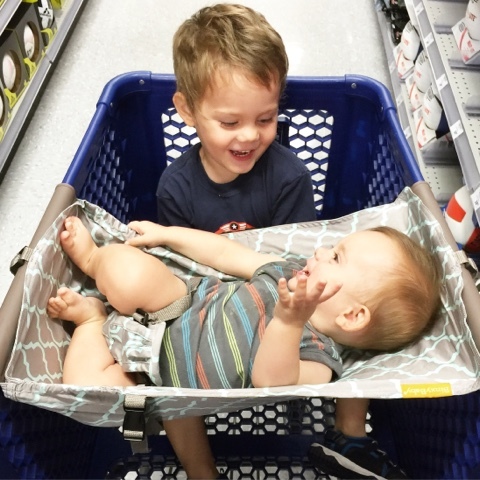 Binxy Baby cart hammock Here! I managed to stifle my desire for a real house for a long time. I even worked in real estate for 4 years and kept it at bay. And then suddenly, after renting a friend's house for a few months and then finding ourselves crammed in our tiniest apartment yet, I felt completely claustrophobic. Otto was brand new and yet requiring more space (ahem- distance from loud older brother) than I anticipated. The apartment was completely devoid of closets and I couldn't even put the dishes away and have the dishwasher open at the same time. We also got to be privy to many knock down, drag out screaming matches between the neighbors next door. Awkward. Lest I sound ungrateful, let us not forget that Trevor and I have inhabited a myriad of special, humble dwellings during our 6 years of marriage (Here) but apparently my standards have elevated over the years because 2 kids later, I refused to have black mold in the bathtub and ants living in the light fixtkures. Is that so much to ask? We are renting a house here in Waxahachie and words cannot describe how much joy my increasingly OCD soul is gleaning as we set up home and organize everything. There is so much peace that comes with everything having a place, and a peaceful home of order is so much more fun to live and love and play in! Last week we went on the hunt for the perfect storage bins for the playroom (photos to come! ), and while we were out we explored the town a bit. 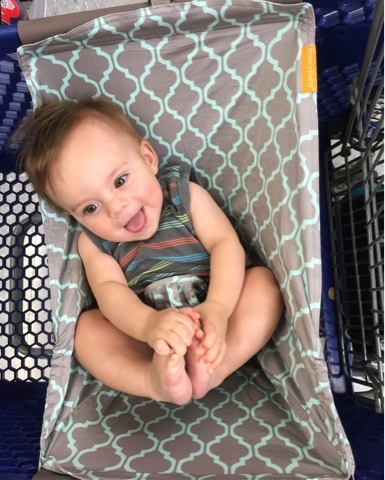 Milo was in and out of the cart at least a hundred times (typical), but Otto boy was as content as could be in his little pint sized Binxy hammock, flirting at everyone we passed. And it's moments like this where it hits me: my life looks SO comically different now than it did 5 or 7 or 10 years ago. Never did I plan to find so much satisfaction in potty training, setting up house, or organizing my diaper bag. Someone pass the sippy cups. Cheers to being old and boring! This is the LIFE.